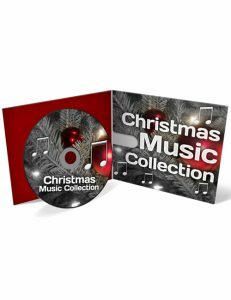 Christmas Music Collection is the best of the best in online music that will help you offer up the magic of Christmas to our target audience whenever you see fit. Having instant access plus private label rights to this amazing and energetically happy music will give you the power to climb to the top of your authority regardless of the hot niche you are in. This fantabulous array of Christmas melodies will warm your heart and lure your clients in to grab that last-minute perfect final touch for their Christmas pleasures. It's all about setting the stage to be inviting and dynamic for each and every visitor and this is the direct take action tool to do it. You CAN make it happen but you've got to take action to do it right. Christmas Music Collection is your best move right now if you are serious about getting the edge over your competition and driving your numbers straight to the top for good. Grab it today because it just makes sense to. 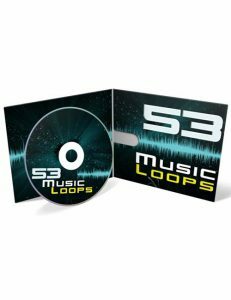 53 Music Loops is the best move you can make in the now if you are looking to build your online presence rock solid right now. It's all about setting your online presence up for the open and attractive customer-purchase and this music loop will help you do just that when you are ready. With these 53 music loops of quality you will have the direct means of stepping up in the ranks and never looking back, and you know what that's going to do with the sales. You will rock in the sales and that's fantabulous in the big picture of a happy business ownership. It's all right here before your eyes for the taking and when you are ready to win you better grab this download and take action with force. Just follow the process and never look back. These cool PLR tracks will push you ahead of the competition and that's just freakin' magical when you think about it. Easy peasy beautiful. 53 Music Loops is your best step in the big picture. Time to take your step forward and keep on going. Download it and forget it please.